Firstly you will need to select the correct category that your product falls under. You can enter whether you are the product's manufacturer or retailer. You will then be able to select if this product is for retail, Foodservice or Local Shop. Your product must be on sale by 22nd November, unless entered into a seasonal category, within the UK for consumer to buy (in-store or online). Remember the judging criteria when selecting your products: taste; flavour; texture; aroma; ingredients list; value for money; innovation; aims in the market place; presentation; packaging – does the product meet its stated aims in the market, and does it do it well? It doesn't have to be a new product – just a really good one. Subcategory - you will be asked to select a subcategory in which you believe your product falls under. This is for guidance only and your product may not be judged in the subcategory if another category is deemed more suitable. 100-word product description - to include product USPs and aims in the market place. This description will be read out to the judges when they receive your product for tasting so please take care-– judges appreciate being told the “story” behind a product – especially if it has a strong message to communicate. Follow delivery instructions and deadlines carefully. These will be sent to you at a later date. Deliver your products to the University of West London on the dates specified. Once your entry has been received, you will be automatically emailed the Delivery Instructions for your tasting samples (with the exception of Baby Q's). 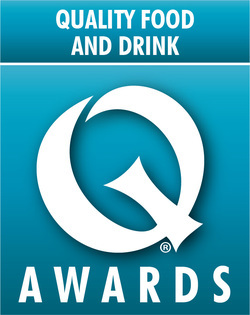 For the Quality Food Awards, we generally ask for eight product samples as judges see packaging and also a whole sample cooked. If you have questions regarding this, please contact sacha.burek@emap.com. Don't forget to click on 'Save' if you don't have all the information required, to add your entry to your basket. You will then be able to go back to this point and complete your entry at a later stage. Small Producer entry fee (fewer than 10 staff and annual sales under £2 million): £125+VAT. All entries should be paid for before judging commences on 22 July 2019. Payment can be made by credit card or alternatively by invoice if you select this option. All Small Producers eligible for a reduced rate should complete and submit the Small Producer Form before entering a category. They will be given a discount 'promo code' to use in the entry form. All Foodservice and Local Shop entrants are eligible for an entry fee of £385 +VAT per product. Click here to request entry fee code for these awards. You will receive confirmation via email as soon as your entry has been submitted, and in due course will receive details of where and when to send your products for judging in August.